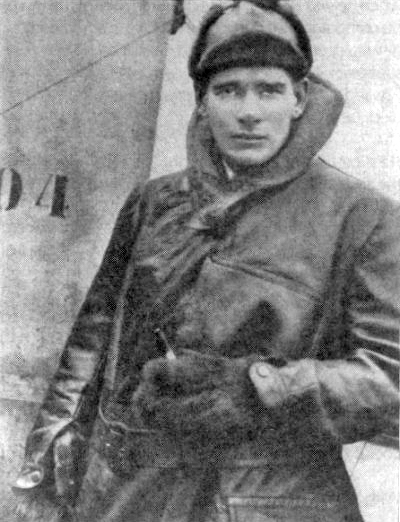 Mick Mannock was the most successful British fighter ace of the First World War and the inventor of many fighter plane tactics still used today. 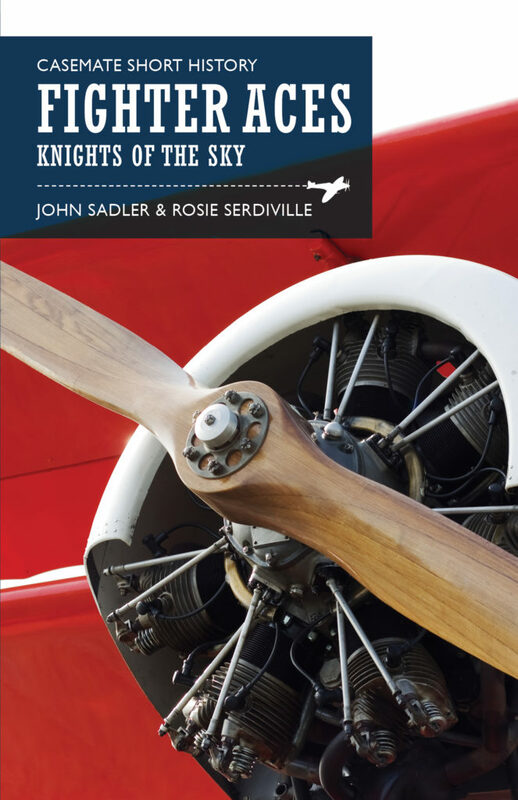 The following extract is taken from the Casemate Short History book Fighter Aces by John Sadler and Rosie Serdiville. After Alfred Ball’s death in 1917, Britain had no von Richthofen as both top ace and tactical inspiration. They did have Mick Mannock though, another who would go on to receive the Victoria Cross. Not a natural ace perhaps and, at 30 in 1918, a very old man indeed. In 1914, he’d been working as a telephone engineer in Turkey, returning home to join up and fight his former employers. He served first with the Royal Engineers and then with Royal Army Medical Corps before transferring to the RFC in 1916. 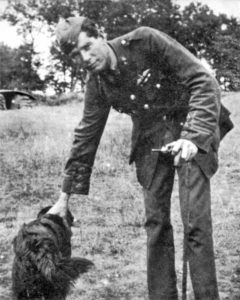 Mannock was one of the first to implement complex aviation tactics for squadrons in WWI. His early career in the skies during 1917 with 40 Squadron showed no great promise. A deeply introverted man, there were those who suspected he was windy or faint-hearted perhaps. On 30th April 1917 Mick took me up to ‘see me right’ as he put it. Near Poperinghe, we spotted a Hun two-seater. Instead of signalling for me to go down with him, he told me to stay where I was. All signals are given by hand-movements and moving the aircraft in various ways. By this time we were circling around the Hun and had the sun behind us. When we were almost directly ahead of the Hun, down goes Mick like a rocket; he positioned himself so that the pilot could not see him because of the upper wing, and the observer was looking the other way for the expected form of attack from the rear. He gave it a quick burst and then pulled up a long, curving climb to join me. As he pulled alongside, he waved his arm down at the running German and nodded at me to get it. I went down on the Hun’s tail and saw that Mick had killed the gunner, and I could attack safely. He had set the Hun up for me and deliberately killed the gunner to ensure that I got my kill. The fact that I am still alive is due to Mick’s high standard of leadership and the strict discipline on which he insisted. We were all expected to follow and cover him as far as possible during an engagement and then to rejoin the formation as soon as that engagement was over. None of Mick’s pilots would have dreamed of chasing off alone after the retreating enemy or any other such foolhardy act. He moulded us into a team, and because of his skilled leadership we became a highly efficient team. Our squadron leader said that Mannock was the most skilful patrol leader in World War I, which would account for the relatively few casualties in his flight team compared with the high number of enemy aircraft destroyed. 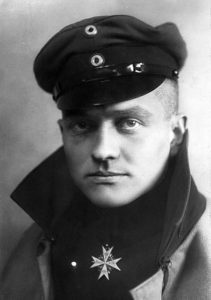 Like von Richthofen, Mannock was an inspirational teacher, though he had no love for the German ace: ‘I hope he roasted the whole way down’ was his only comment when the Red Baron finally cashed in. His gospel ‘Gentlemen, always above, seldom on the same level; never underneath’, spread, his individual preaching became the mantra of the RFC. He stressed the need for team work; air fighting was no longer for lone wolves. There were too many enemy formations in the sky, the wolf was dead meat. Pilots must dive to attack with zest, and must hold their fire until they get within one hundred yards of the target. Achieve surprise by approaching from the east (the German side of the front). Utilize the sun’s glare and clouds to achieve surprise. Pilots must sight their guns and practice as much as possible. Targets are fleeting. Pilots must practice spotting machines in the air and recognizing them at long range, and every aeroplane is to be treated as an enemy until it is certain it is not. Scouts must attack from above and two-seaters from beneath their tails. Pilots must practice quick turns, as this manoeuvre is used more than another in a fight. Pilots must practice judging distances in flight as these are very deceptive. Decoys must be guarded against – a single enemy is often a decoy – therefore the air above must be searched before attacking. If the day is sunny, machines should be turned with as little bank as possible; otherwise the sun glistening on their wings will give away their positions at long range. Pilots must keep turning in a dogfight and never fly straight unless firing. Pilots must never dive away from an enemy, as he gives an opponent a non-deflection shot – bullets are faster than aeroplanes. Pilots must keep an eye on their watches during patrols, on the direction and strength of the wind. To learn more about fighter aces throughout the twentieth century, read Fighter Aces: Knights of the Sky, part of the brand new Casemate Short History series. Leadership Lesson: How Should a Ship Commander Appear to his Crew?